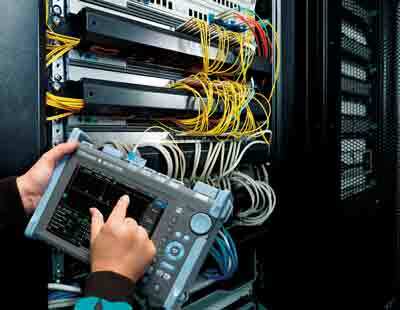 How is the OTDR used to test a fiber optic cable plant? What can an OTDR test tell you that no other test can? Why is OTDR testing different from insertion loss testing? What are the measurement uncertainties of OTDR tests? The OTDR is perhaps the most powerful tool for testing fiber optics as well as the least understood and most often improperly used. Because the instrument itself is so complex, simply learning how to operate it takes time, unfortunately leaving little time for most users to really learn how it works and how to interpret test results (called traces or signatures.) At the FOA, the vast majority of questions we receive concern OTDRs and the stories of their misuse are many. Some manufacturers tell customers to just turn it on and push the "test' button and the instrument does everything for you. We know many users who took that advice and many who regretted it: one removed and ruined over $100,000 of cable that was perfectly good and another contractor had to retest over 1000 6-fiber cables. So it makes good sense to learn how to use this expensive instrument properly. Earlier lessons have shown you how OTDR testing is used to test the cable plant. This lesson will give you much more information on how it works, how to set it up properly and how to interpret test results. Once you finish this lesson, you should be able to use an OTDR properly. FOA has a FREE OTDR Simulator you can download and use to practice analyzing OTDR traces. (It's actually the software from a OTDR with many real traces you can analyze in your Windows computer.) There are many traces that show you how the setup of the OTDR affects measurements and many more traces you can analyze. 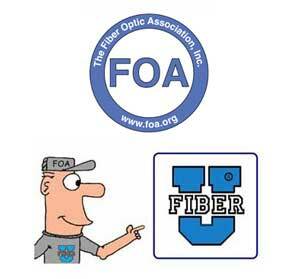 (C)2016, The Fiber Optic Association, Inc.